Lena "Tina" Mary Reinert born April 10, 1930 to Frank and Wilhelmina (Redder) Reinert in Cherokee, Iowa. 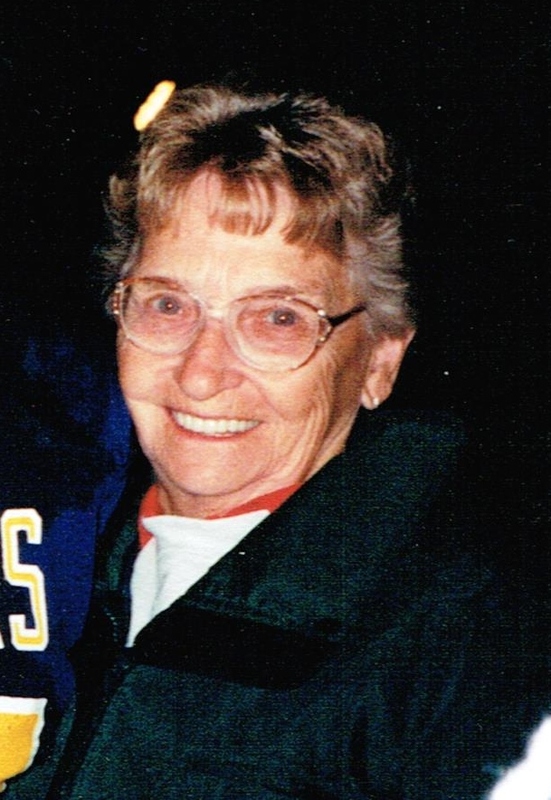 She passed away on June 29th at Southridge Health Care in Sioux Falls, surrounded by family. Tina was one of 12 children and grew up in Iowa. She married Harold Hollingshead in 1947 and together they had 7 children. In 1959 she married Donald Rowland and gained three more step-children. Family was Tina's life; she dearly loved the children. She was still hosting Easter, Thanksgiving and Christmas with all the family up until just a few years back, when her health started to fail. Tina's gifts were often handmade, sewn or crocheted. She loved creating and being busy. Tina and Don enjoyed many summers at their lake home, relaxing and enjoying the children and grandchildren. Tina will be dearly missed by her family, Children: Sandy Scholten, Ivanhoe, MN, Mike (Jill) Hollingshead, Sioux Falls, SD, Charlie (Sandy) Hollingshead, Sioux Falls, SD, Richard (Rita) Hollingshead, Sioux Falls, SD, Sharon (Bill) McKillip, Wentworth, SD, Chris (Mary) Hollingshead, Sioux Falls, SD; Step-Children: Rich (Sherry Martinmaas) Rowland, Sioux Falls, SD, Kathi (Dave) Stewart, Minneapolis, MN, Debra (Rick Lawrence) Rowland, Phoenix, AR, PJ Hollingshead (Samantha) Lander, WY, and Peggy Sams (Trampas) Oskaloosa, IA; 22 grand and step-grandchildren, 48 great-grand and step-grandchildren; Siblings: Jo K. Jurgensen, Jerry Reinert and Leonard Reinert; and daughter-in-law: Kim Hollingshead. She will also be missed by her chihuahua companion, Molly. She was preceded in death by her parents, eight siblings, her husband Donald Rowland, one son Randy Hollingshead, one son-in-law Larry Scholten and one great-granddaughter DeLaney Hollingshead. Memorials may be designated to the charity of your choice or the the Children's Home Society. Visitation will be Monday July 2, 5:00 PM at Barnett-Lewis Funeral Home with a Scripture Vigil at 7:00 PM. Mass of Christian Burial will be Tuesday July 3, 10:00 AM at the Cathedral of St. Joseph.